Tasmania (;, abbreviated as Tas and known colloquially as "Tassie") is an island state of Australia. It is located 240 km (150 mi) to the south of the Australian mainland, separated by the Bass Strait. The state encompasses the main island of Tasmania, the 26th-largest island in the world, and the surrounding 334 islands. The state has a population of around 519,100 as of June 2016, just over forty percent of which resides in the Greater Hobart precinct, which forms the metropolitan area of the state capital and largest city, Hobart. Tasmania's area is 68,401 km2 (26,410 sq mi), of which the main island covers 64,519 km2 (24,911 sq mi). Promoted as a natural state; protected areas of Tasmania cover about 42% of the land area of the state, which includes national parks and World Heritage Sites. Tasmania was the founding place of the first environmental party in the world. Though an island state, due to a mapping error the state shares a land border with Victoria at its northernmost terrestrial point, Boundary Islet, a nature reserve in Bass Strait. The Bishop and Clerk Islets, about 37 km south of Macquarie Island, are the southernmost terrestrial point of the state of Tasmania, and the southernmost internationally recognised land in Australia. The island is believed to have been occupied by Aboriginals for 40,000 years before British colonisation. It is thought Tasmanian Aboriginals were separated from the mainland Aboriginal groups about 10,000 years ago when the sea rose to form Bass Strait. The Aboriginal population was estimated to have been between 3,000 and 7,000 at the time of colonisation, but was almost wiped out within 30 years by a combination of violent guerrilla conflict with settlers known as the "Black War", intertribal conflict, and from the late 1820s, the spread of infectious diseases to which they had no immunity. The conflict, which peaked between 1825 and 1831 and led to more than three years of martial law, cost the lives of almost 1100 Aboriginals and settlers. The near-destruction of Tasmania's Aboriginal population has been described by some historians as an act of genocide by the British. The island was permanently settled in 1803 as a penal settlement of the British Empire to prevent claims to the land by the First French Empire during the Napoleonic Wars; around 75,000 convicts were sent to Van Diemen's Land before transportation ceased in 1853. The island was initially part of the Colony of New South Wales, but became a separate, self-governing colony under the name Van Diemen's Land (named after Anthony van Diemen) in 1825. In 1854 the present Constitution of Tasmania was passed and the following year the state received permission to change its name to Tasmania. In 1901 it became a state through the process of the Federation of Australia. The state is named after Dutch explorer Abel Tasman, who made the first reported European sighting of the island on 24 November 1642. Tasman named the island "Anthony van Diemen's Land" after his sponsor Anthony van Diemen, the Governor of the Dutch East Indies. The name was later shortened to Van Diemen's Land by the British. It was officially renamed Tasmania in honour of its first European discoverer on 1 January 1856. The island was adjoined to the mainland of Australia until the end of the last glacial period about 10,000 years ago. Much of the island is composed of Jurassic dolerite intrusions (upwellings of magma) through other rock types, sometimes forming large columnar joints. Tasmania has the world's largest areas of dolerite, with many distinctive mountains and cliffs formed from this rock type. The central plateau and the southeast portions of the island are mostly dolerite. Mount Wellington above Hobart is a good example, showing distinct columns known as the Organ Pipes. The quartzite and dolerite areas in the higher mountains show evidence of glaciation, and much of Australia's glaciated landscape is found on the Central Plateau and the Southwest. Cradle Mountain, another dolerite peak, for example, was a nunatak. The combination of these different rock types offers incredible scenery, much of it distinct from any other region of the world. In the far southwest corner of the state, the geology is almost completely quartzite, which gives the mountains the false impression of having snow-capped peaks year round. Evidence indicates the presence of Aborigines in Tasmania about 40,000 years ago. Rising sea levels cut Tasmania off from mainland Australia about 10,000 years ago and by the time of European contact, the Aboriginal people in Tasmania had nine major nations, or ethnic groups. At the time of the British occupation and colonisation in 1803 the indigenous population was estimated at between 3,000 and 10,000. Historian Lyndall Ryan's analysis of population studies led her to conclude that there were about 7,000 spread throughout the island's nine nations; Nicholas Clements, citing research by N.J.B. Plomley and Rhys Jones, settled on a figure of 3,000 to 4,000. They engaged in fire-stick farming, hunted game including kangaroo and wallabies, caught seals, mutton-birds, shellfish and fish and lived as nine separate "nations" on the island, which they knew as "Trouwunna". The first reported sighting of Tasmania by a European was on 24 November 1642 by Dutch explorer Abel Tasman, who landed at today's Blackmans Bay. More than a century later, in 1772, a French expedition led by Marc-Joseph Marion du Fresne also landed at Blackmans Bay, and the following year Tobias Furneaux became the first Englishman to land in Tasmania when he arrived at Adventure Bay. Captain James Cook landed at Adventure Bay in 1777. Matthew Flinders and George Bass sailed through Bass Strait in 1798–99, determining for the first time that Tasmania was an island. 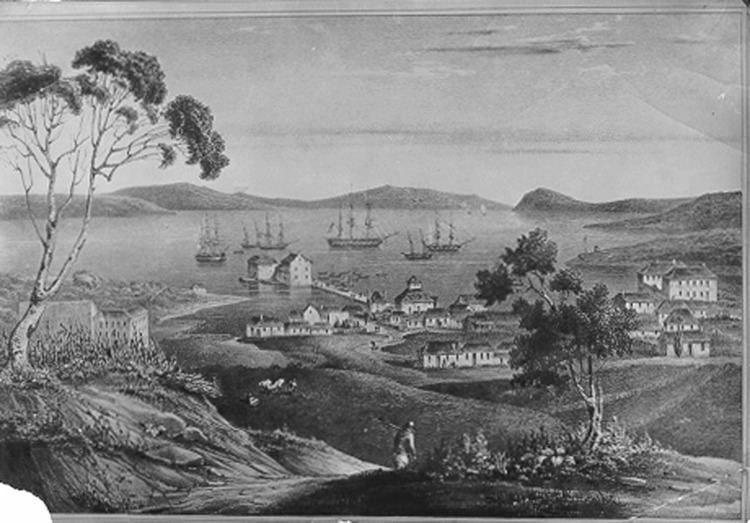 A smaller colony was established at Port Dalrymple on the Tamar River in the island's north in October 1804 and several other convict-based settlements were established, including the particularly harsh penal colonies at Port Arthur in the southeast and Macquarie Harbour on the West Coast. Tasmania was eventually sent 65,000 convicts—four out of every ten people transported to Australia. By 1819 the Aboriginal and British population reached parity with about 5000 of each, although among the colonists men outnumbered women four to one. Wealthy middle-class free settlers began arriving in large numbers from 1820, lured by the promise of land grants and free convict labour. Settlement in the island's northwest corner was monopolised by the Van Diemen's Land Company, which sent its first surveyors to the district in 1826. By 1830 one-third of Australia's non-Indigenous population lived in Van Diemen's Land and the island accounted for about half of all land under cultivation and exports. In 1975 the Tasman Bridge collapsed when the bridge was struck by the bulk ore carrier MV Lake Illawarra. It was the only bridge in the city, and made crossing the Derwent River by road at Hobart impossible. The nearest bridge was approximately 20 km to the north, at Bridgewater. The Tasmanian community has for some time been divided over the issue of the proposed Bell Bay Pulp Mill to be built in the Tamar Valley. Proponents argue that jobs will be created, while opponents argue that pollution will damage both the Bass Strait fishing industry and local tourism. In January 2011 wealthy philanthropist David Walsh opened the Museum of Old and New Art (MONA) in Hobart to international acclaim. Within 12 months, MONA became Tasmania's top tourism attraction. The form of the government of Tasmania is prescribed in its constitution, which dates from 1856, although it has been amended many times since then. Since 1901, Tasmania has been a state of the Commonwealth of Australia, and the Australian Constitution regulates its relationship with the Commonwealth and prescribes which powers each level of government enjoys. At the 2002 state election, the Labor Party won 14 of the 25 House seats. The Liberal Party saw their percentage of the vote decrease dramatically, and their representation in the Parliament fell to seven seats. The Greens won four seats, with over 18% of the popular vote, the highest proportion of any Green party in any parliament in the world at that time. On 23 February 2004 the Premier Jim Bacon announced his retirement, after being diagnosed with lung cancer. In his last months he opened a vigorous anti-smoking campaign which included many restrictions of where individuals could smoke, such as pubs. He died four months later. Bacon was succeeded by Paul Lennon, who, after leading the state for two years, went on to win the 2006 state election in his own right. Lennon resigned in 2008 and was succeeded by David Bartlett, who formed a coalition government with the Greens after the 2010 state election resulted in a hung parliament. Bartlett resigned as Premier in January 2011 and was replaced by Lara Giddings, who became Tasmania's first female Premier. In March 2014 Will Hodgman's Liberal Party won government, ending sixteen years of Labor governance, and ending an eight-year period for Hodgman himself as Leader of the Opposition. Tasmania has numerous relatively unspoiled, ecologically valuable regions. Proposals for local economic development have therefore been faced with strong requirements for environmental sensitivity, or outright opposition. In particular, proposals for hydroelectric power generation proved controversial in the late 20th century. In the 1970s, opposition to the construction of the Lake Pedder reservoir impoundment led to the formation of the world's first green party, the United Tasmania Group. In the early 1980s the state was again plunged into often bitter debate over the proposed Franklin River Dam. The anti-dam sentiment was shared by many Australians outside Tasmania and proved a factor in the election of the Hawke Labor government in 1983, which halted construction of the dam. Since the 1980s the environmental focus has shifted to old growth logging and mining in the Tarkine region, which have both proved highly divisive. The Tasmania Together process recommended an end to clear felling in high conservation old growth forests by January 2003, but was unsuccessful. Tasmania's landmass of 68,401 km2 (26,410 sq mi) is located directly in the pathway of the notorious "Roaring Forties" wind that encircles the globe. To its north, it is separated from mainland Australia by Bass Strait. Tasmania is the only Australian state that is not located on the Australian mainland. Depending on which borders of the oceans are used, the island can be said to be either surrounded by the Southern Ocean, or to have the Pacific on its east and the Indian to its west. Still other definitions of the ocean boundaries would have Tasmania with the Great Australian Bight to the west, and the Tasman Sea to the east. The state of Tasmania shares a land border with Victoria at its northernmost terrestrial point, Boundary Islet, a nature reserve in Bass Strait. Tasmania (the state) also includes Macquarie Island, situated 1,500 km south of the state, and approximately halfway between New Zealand and the Antarctic mainland, along with neighbouring island groups Judge and Clerk Islets 11 km north and Bishop and Clerk Islets about 37 km south of Macquarie Island. The latter include the southernmost terrestrial point of the state of Tasmania, and the southernmost internationally recognised land in Australia. Tasmania has a cool temperate climate with four distinct seasons. Summer is from December to February when the average maximum sea temperature is 21 °C (70 °F) and inland areas around Launceston reach 24 °C (75 °F). Other inland areas are much cooler, with Liawenee, located on the Central Plateau, one of the coldest places in Australia, ranging between 4 °C (39 °F) and 17 °C (63 °F) in February. Autumn is from March to May, with mostly settled weather, as summer patterns gradually take on the shape of winter patterns. 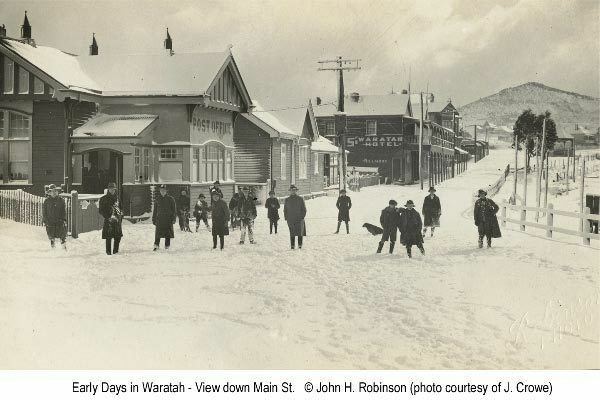 The winter months are from June to August, and are generally the wettest and coolest months in the state, with most high lying areas receiving considerable snowfall. Winter maximums are 12 °C (54 °F) on average along coastal areas and 3 °C (37 °F) on the central plateau, as a result of a series of cold fronts from the Southern Ocean. Inland areas receive regular freezes throughout the winter months. Spring is from September to November, and is an unsettled season of transition, where winter weather patterns begin to take the shape of summer patterns, although snowfall is still common up until October. Spring is generally the windiest time of the year with afternoon sea breezes starting to take effect on the coast. Geographically and genetically isolated, Tasmania is known for its unique flora and fauna. Tasmania has extremely diverse vegetation, from the heavily grazed grassland of the dry Midlands to the tall evergreen eucalypt forest, alpine heathlands and large areas of cool temperate rainforests and moorlands in the rest of the state. Many flora species are unique to Tasmania, and some are related to species in South America and New Zealand through ancestors which grew on the super continent of Gondwana, 50 million years ago. The island of Tasmania was home to the thylacine, a marsupial which resembled a Fossa (animal) or some say a wild dog. Known colloquially as the Tasmanian tiger for the distinctive striping across its back, it became extinct in mainland Australia much earlier because of competition by the dingo, introduced in prehistoric times. Owing to persecution by farmers, government-funded bounty hunters and, in the final years, collectors for overseas museums, it appears to have been exterminated in Tasmania. The Tasmanian devil became the largest carnivorous marsupial in the world following the extinction of the thylacine in 1936, and is now found in the wild only in Tasmania. Tasmania was one of the last regions of Australia to be introduced to domesticated dogs. Dogs were brought from Britain in 1803 for hunting kangaroos and emus. This introduction completely transformed Aboriginal society, as it helped them to successfully compete with European hunters, and was more important than the introduction of guns for the Aboriginals. Tasmania's population is more homogeneous than that of other states of Australia, with many of British descent. Approximately 65% of its residents are descendants of an estimated 10,000 "founding families" from the mid-19th century. As of 1996, more than 80% of Tasmanians were born in the state and almost 90% were born in Australia, New Zealand, Great Britain, or Ireland. The ethnic homogeneity makes it an attractive location to study population genetics. In the 1960s and 1970s there was a rapid decline in traditional crops such as apples and pears, with other crops and industries eventually rising in their place. During the 15 years until 2010, new agricultural products such as wine, saffron, pyrethrum and cherries have been fostered by the Tasmanian Institute of Agricultural Research. Favourable economic conditions throughout Australia, cheaper air fares, and two new Spirit of Tasmania ferries have all contributed to what is now a booming tourism industry. About 1.7% of the Tasmanian population are employed by local government. Other major employers include Nyrstar, Norske Skog, Grange Resources, Rio Tinto, the Roman Catholic Archdiocese of Hobart, and Federal Group. Small business is a large part of the community life, including such success stories as Incat, Moorilla Estate and Tassal. In the late 1990s, many national companies based their call centres in the state after obtaining cheap access to broad-band fibre optic connections. Thirty-four percent of Tasmanians are reliant on welfare payments as their primary source of income. This number is in part due to the large number of older residents and retirees in Tasmania receiving Age Pensions. Due to its natural beauty and clean air, Tasmania is a popular location for Australians to retire to. To foster tourism, the state government encourages or supports several annual events in and around the island. 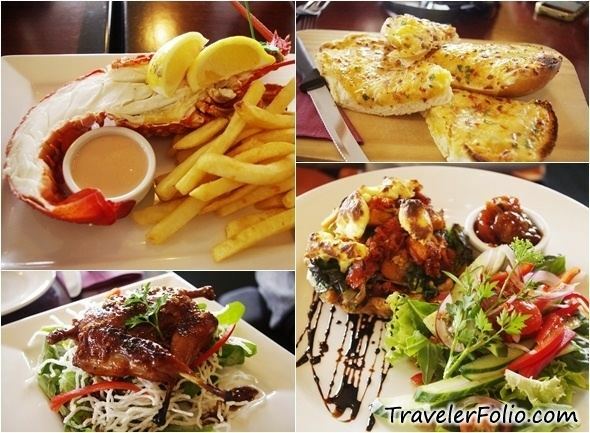 The best known of these is the Sydney to Hobart Yacht Race, starting on Boxing Day in Sydney and usually arriving at Constitution Dock in Hobart around three to four days later, during the Taste of Tasmania, an annual food and wine festival. Other events include the road rally Targa Tasmania which attracts rally drivers from around the world and is staged all over the state, over five days. Rural or regional events include Agfest, a three-day agricultural show held at Carrick (just west of Launceston) in early May and the Royal Hobart Show and Royal Launceston Show, both held in October annually. Music events held in Tasmania include the Falls Festival at Marion Bay (a Victorian event now held in both Victoria and Tasmania on New Year's Eve), MS Fest is a charity music event held in Launceston, to raise money for those with multiple sclerosis, the Cygnet Folk Festival is one Australia's most iconic folk music festivals and is held every year in January, the Tasmanian Lute Festival is an early music event held in different locations in Tasmania every two years and directed by Susan King. Recent additions to the state arts events calendar include the 10 Days on the Island arts festival, and MONA FOMA, run by David Walsh and curated by Brian Ritchie. Tasmania has a vibrant and growing literary culture. Notable titles include For the Term of His Natural Life by Marcus Clarke, The Sound of One Hand Clapping and Gould's Book of Fish by Richard Flanagan, Bad Guys Go To Heaven by Angus Thornett, The Alphabet of Light and Dark by Danielle Wood, The Roving Party by Rohan Wilson, The Butterfly Man by Heather Rose and The Year of Living Dangerously by Christopher Koch and children's books such as The Museum of Thieves by Lian Tanner and Tiger Tale by Marion and Steve Isham. Tasmania also has a literary magazine that was formed in 1979, called Island magazine and a biennial festival, the Tasmanian Writers and Readers Festival hosted by the Tasmanian Writers Centre. Tasmania has five broadcast television stations which produce local content including ABC Tasmania, Southern Cross Television Tasmania – an affiliate of Seven Network, WIN Television Tasmania – an affiliate of Ten Network, Nine Tas – an affiliate of the Nine Network (joint owned by WIN and Southern Cross), and SBS. Films set in Tasmania include Young Einstein, The Tale of Ruby Rose, The Hunter, The Last Confession of Alexander Pearce, Arctic Blast, Manganinnie, Van Diemen's Land and Lion. Common within Australian cinema, the Tasmanian landscape is a focal point in most of their feature film productions. The Last Confession of Alexander Pearce and Van Diemen's Land are both set during an episode of Tasmania's convict history. Tasmanian film production goes as far back as the silent era, with the epic For The Term of His Natural Life in 1927 being the most expensive feature film made on Australian shores. Tasmania's main air carriers are Jetstar Airways and Virgin Australia; Qantas, QantasLink and Regional Express Airlines have services from Tasmania. These airlines fly direct routes to Brisbane, the Gold Coast, Melbourne and Sydney. Major airports include Hobart International Airport (which has not had a regular scheduled international passenger service since the 1990s) and Launceston Airport; the smaller airports, Burnie (Wynyard) and King Island, serviced by Regional Express; and Devonport, serviced by QantasLink; have services to Melbourne. Intra-Tasmanian air services are offered by Airlines of Tasmania. Until 2001 Ansett Australia operated majorly out of Tasmania to 12 destinations nationwide. Within the state, the primary form of transport is by road. Since the 1980s, many of the state's highways have undergone regular upgrades. These include the Hobart Southern Outlet, Launceston Southern Outlet, Bass Highway reconstruction, and the Huon Highway. Public transport is provided by Metro Tasmania bus services within urban areas, with Redline Coaches, Tassielink Transit and Callows Coaches providing bus service between population centres. The port of Hobart is the second deepest natural port in the world, second to only Rio de Janeiro in Brazil. There is a substantial amount of commercial and recreational shipping within the harbour and the port regularly hosts Cruise ships and occasionally military vessels. Burnie and Devonport on the northwest coast host ports and several other coastal towns host either small fishing ports or substantial marinas. The domestic sea route between Tasmanian and the mainland is serviced by Bass Strait passenger/vehicle ferries operated by the Tasmanian government-owned TT-Line (Tasmania). The state is also home to Incat, a manufacturer of very high-speed aluminium catamarans that regularly broke records when they were first launched. The state government tried using them on the Bass Strait run but eventually decided to discontinue the run because of concerns over viability and the suitability of the vessels for the extreme weather conditions sometimes experienced in the strait. Australian Rules Football is also popularly followed, with occasional discussion of a proposed Tasmanian team in the Australian Football League (AFL). Several AFL games have been played at Aurora Stadium, Launceston, including the Hawthorn Football Club and as of 2012, at the Bellerive Oval with the North Melbourne Football Club playing 3 home games there. The stadium was the site of an infamous match between St Kilda and Fremantle which was controversially drawn after the umpires failed to hear the final siren. Rugby League Football is also played in the area, with the highest level of football played is in the Tasmanian Rugby League competition. The most successful team is the Hobart Tigers winning the title three times.